It's time to "fall" in love with Des Moines! There’s a slight crisp in the air, and the leaves are starting to change color. That can only mean one thing: fall is finally upon us! And with the summer heat in our rear-view mirror, it’s time to look ahead at everything our beautiful city has to offer everyone this fall. We’re talking family-friendly activities like pumpkin patches and Halloween events, adults-only fun like Oktoberfest, and for the bravest among us: haunted houses. 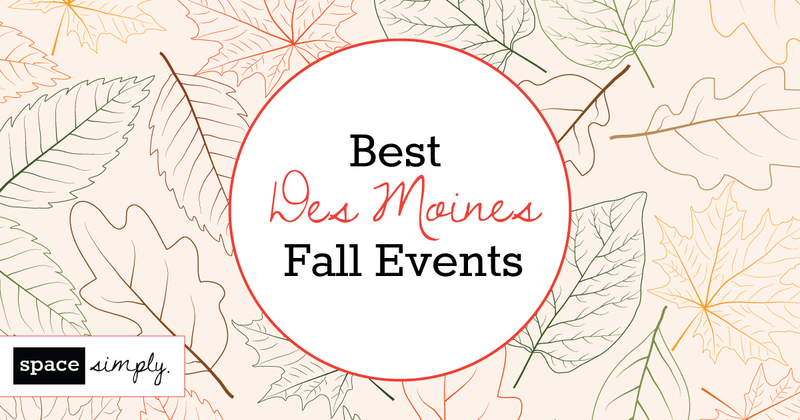 How are you going to spend this fall in Des Moines? Thanks to Catch Des Moines, we’ve rounded up some can’t-miss events just for you. Spend a day with the family exploring Geisler Farms. They’ve got a 10-acre corn maze, a pumpkin patch and tons of other activities to keep everyone entertained for hours! Pick apples, find the perfect pumpkin and enjoy countless other attractions at Center Grove Orchard. Grab the family and head out to the Beaverdale Fall Festival September 15–16. Travel back in time at Living History Farms, learn what life was like during different time periods, and check out their fun fall events like Applefest and all their Halloween activities. And finally, Faire season is here, so you don’t want to miss the 12th annual Renaissance Faire at Sleepy Hollow. Get your lederhosen on at the Des Moines’ Annual Oktoberfest, September 22–32 in the heart of the Historic Court District! This 21+ event has everything from live performances to stein holding competitions and a bier maiden contest! And is there any better time of year to check out seasonal fall beers from local breweries? Taste test seasonal brews from Exile Brewing Company, Confluence, 515 Brewing Company, Madhouse Brewing Company, Peace Tree, Fox Brewing, and Court Avenue Restaurant & Brewing Company. This Halloween, there’s no shortage of events for Des Moines residents of all ages! Everyone can enjoy the Des Moines Zombie Walk on October 8, Night Eyes trick-or-treating event at Blank Park Zoo, Pumpkin Walk in Historic Valley Junction on October 23, Spooky Science at the Science Center of Iowa on October 29, Spooky Paws Parade in the Historic East Village October 30, and so much more! For the adults, check out Wine, Witches and Brews at Indianola Square on October 14 where you can show off your costume, shop local stores and enjoy local wine, beer and spirits! Or explore the Governor’s mansion with live music and cocktails at Scare us Hill Spooktacular Cocktail Party on October 14. It’s haunted house season! Here are a few haunted houses you should definitely check out—if you think you can handle it! Linn’s Supermarket Haunted House ditches the gore of traditional haunted houses and instead uses darkness and the element of surprise to terrify guests. Sleepy Hollow Haunted Scream Park is like a terrifying amusement park where you can experience different haunted houses with a single ticket. Discover even more frightful fun with this more complete list of haunted houses in and around Des Moines! This fall, venture out and discover all the wonderful events Des Moines has to offer. And if you’re looking to buy or sell your home in Des Moines, we’d love to talk with you! Contact us today with a quick note or give us a call at 515-423-0899. Let’s go find your dream home!